Jamia Millia Islamia University recently announced MA Admission 2019 that also include the MA English Entrance. The last date is 12th April 2019. JMI University is a central university that is accredited with NAAC ‘A’ grade. Moreover, it ranks among the top universities in India primarily due to its quality, research, and infrastructure. Apart from that, it also has renowned personalities as alumni one of them is Shahrukh Khan. The MA English course at JMI university is one of the most popular courses. Also, the JMI MA English Entrance exam is one of the most competitive exams as well. That’s due to applicants are from across India. 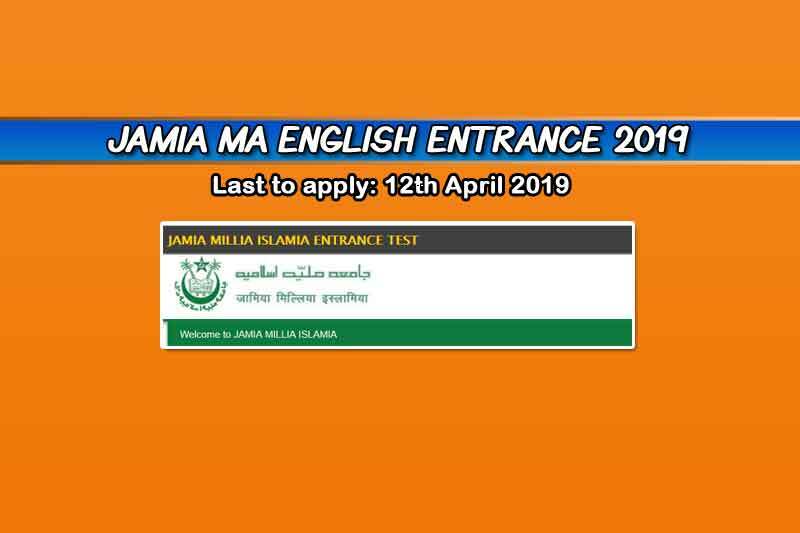 In this notification, we have provided all the important details related to the Jamia English Entrance exam. At any point you have a question then feel free to use the comment box below. Also, don’t forget to share this article with your friends.